Executioners There are 11 products. Verdugo metal life size. 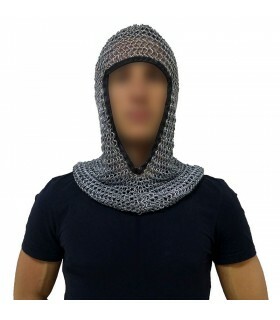 The executioner is a chainmail (metal protection) covering only the head. Ring 9 mm. 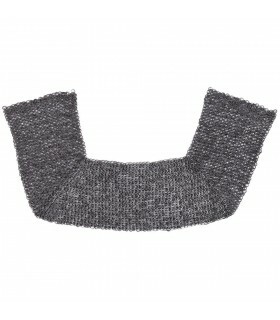 Verdugo largest steel Epaulets and chest. All in one piece. 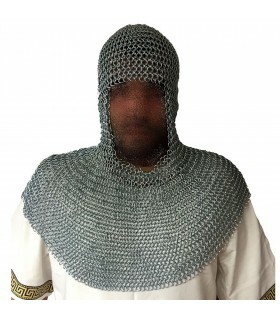 The executioner is a chainmail (metal protection) covering only the head. Ring: 8 mm. 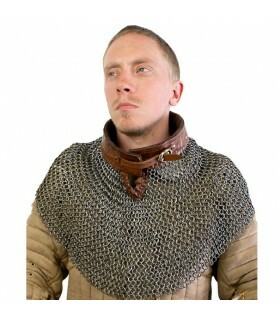 Gola, the mantle of Bishop-finished leather and buckle neck. Verdugo dimension of black mesh with mouthguard. 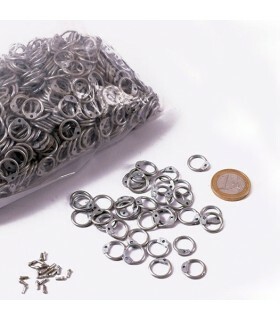 Rings: 8 mm.Head Circumference: max. 63cm. Span>The rings are blackened to protect them from corrosion. 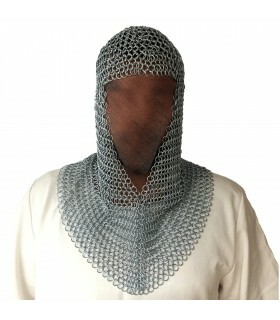 It covers shoulders and has opening in the mouth with leather straps sewn on the sides. 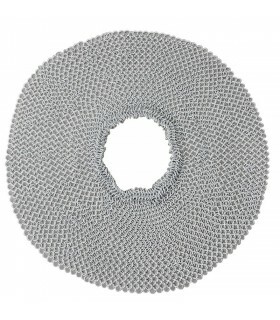 Protection of neck battle-ready. 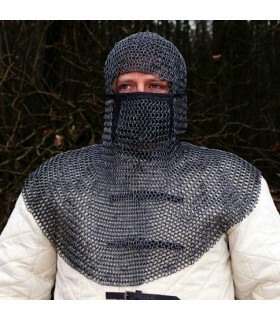 The protection for the neck can be attached to the chain mail or other type of reinforcement to reinforce it. 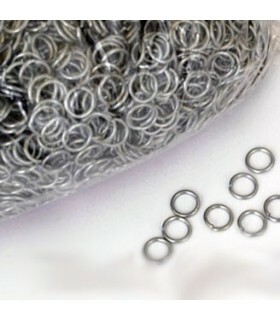 The inner diameter of the rings is 6 mm.